LONDON, UK. 27 May 2009: Data management and storage vendor NetApp was today named the fourth best place to work in the UK by the Great Places to Work® Institute, ahead of any other technology company. 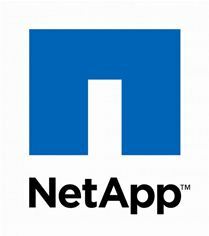 NetApp was the highest new entrant to the UK competition this year, and also came in at number 11 in the Top 50 Best Workplaces in Europe. The company was also commended for its orientation program at NetApp headquarters in California, which every new staff member globally is invited to attend. The Great Place to Work® Institute evaluates the degree of trust in relationships at organisations by analysing employee responses to its Trust Index© Employee Survey and Culture Auditã management survey. The research encompasses key metrics that determine a leading working environment, from the benefits available to employees through to levels of employee engagement with senior management. The UK’s Best Workplaces Programme is run by the Great Place to Work® Institute UK, which forms part of the world’s largest scheme to recognise excellence in people management. A great place to work is one where employees trust the people they work for, have pride in what they do and enjoy the people with whom they work.